Leaving the Garden State for the Sunshine State? If you are moving from NJ to Jacksonville, you need a moving company with years of experience and skilled professionals for the smoothest transition. Whether you are headed south for work, education or a change of scenery, the movers you choose determine the experience you have. Simonik Moving & Storage has been the premiere New Jersey moving company since 1977 because of our commitment to quality and the satisfaction of our customers. Our dedication to excellence is evident in our A+ rating and accreditation with the Better Business Bureau. 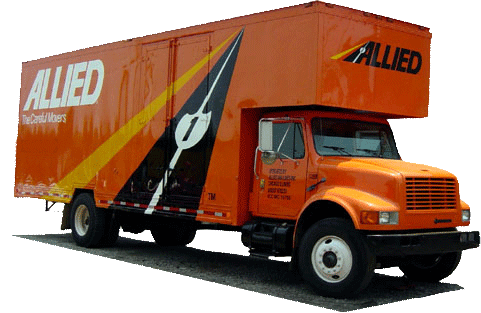 As an award-winning agent of Allied Van Lines, we belong to a nationwide network of moving and storage professionals, which gives us the ability to easily move you anywhere in the United States. Even with the most meticulous planning there can be some bumps in the road during your move from New Jersey to Jacksonville. Simonik Moving & Storage has the experience and resources required to handle all aspects of your move - including those you didn’t see coming. If you are unable to receive your belongings in your new Jacksonville when you originally thought, you can take advantage of our flexible storage options. Store your belongings in our internationally-shipment approved containers for as long as you need to complete your New Jersey to Jacksonville move. When you are ready to retrieve your items from our secure warehouse facility, simply give us a call and we will schedule a prompt delivery. Simonik Moving & Storage proudly serves households throughout North and Central Jersey, including Hunterdon, Mercer, Middlesex, Monmouth, Morris and Somerset counties. As a ProMover with the American Moving & Storage Association (AMSA), we are constantly learning about the best practices in the industry. Additionally, we are kept informed of the latest technologies for long-distance moving, meaning we can quickly and carefully take care of your NJ to Jacksonville move. Our commitment to providing only the best quality is why we have been a recipient of the “Mover of the Year” award from the New Jersey Warehousemen & Movers Association. Don’t settle for anything less than the best - trust the superior NJ to Jacksonville moving specialists! Call today to discuss your upcoming long-distance move with one of our friendly associates, or fill out our online quote form to request your free, no-obligation moving estimate!